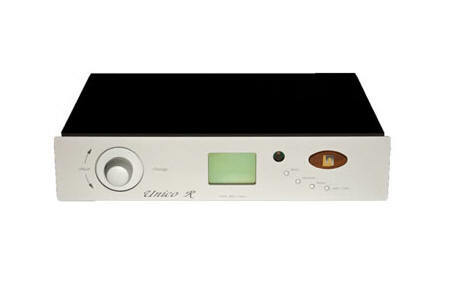 The UNICO R is the RDS Stereo Tuner of the UNICO series. Like the other devices in this series, the UNICO R has a tube preamp circuit. In particular, this consists of a preamp gain stage tube, which uses a double triode ECC8 per channel in differential configuration, and a transistor output stage operating in A class. The output signals are available both as balanced or unbalanced with low impedance. The tun ing circuit is based on a ALPS digital stereo module with high sensitivity and low distortion, which allows tuning in the AM and FM bands, the standard frequency range for Europe and the United States.